While others may be going to the flashier resorts, locals know that the historic mining town of Breckenridge, Colorado is where it's at for year-round excitement. Nestled deep in the heart of the Rocky Mountains, approximately two hours from Denver, it is home to Breckenridge Ski Resort as well as Colorado's largest historic district. Breckenridge ski resort contains five peaks, 2,926 acres of skiable terrain, and a vertical rise of 3,398 feet. This makes it one of the largest ski resorts in Colorado. It is also one of the snowiest, with an average annual snowfall of about 350 inches. In addition, the resort has several award-winning terrain parks and the highest chairlift in North America. Once on the slopes, there’s something for everyone. Dozens of easier runs are available for skiers who aren’t looking for anything too difficult. However, those of you desiring more challenging terrain will not be disappointed either. Tons of steep lines, wide-open bowls, and tree runs can be found higher up on the mountain. Unlike many ski resorts, Breckenridge is more than just a mountain. The town itself has a rich history dating back to 1859 when gold prospectors founded the town, so this is your chance to relive some of those heady days of the gold rush. In fact, the downtown area is actually the largest historic district in the state! Breckenridge gets more than 300 annual inches of powder each year, so there's always going to be something good on the ground for you to enjoy. 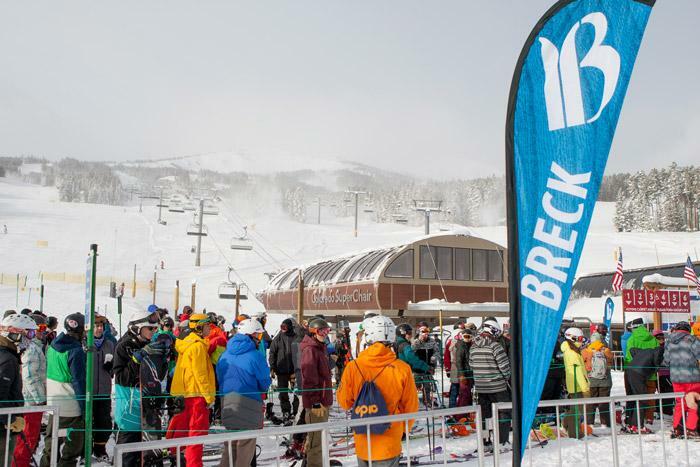 Because Breckenridge is part of Vail Resorts, you can purchase passes that are good across the "EpicMix" network that includes Keystone and Vail, which increases the terrain you can access to more than 500 trails and 11,000 skiable acres. In addition to skiing in the winter, Breckenridge is a year-round resort destination with fly-fishing, mountain biking, hiking, golf and other summer activities. Additionally, the alpine slide - open year round - is just as fun in the summer and a whole lot less chilly! Breckenridge is the locals choice - while other resorts like Vail and Aspen may draw more out of state and international tourists, this is where the locals love to go. Because there is more of a focus on local visitors and those from nearby states, the vibe tends to be more laid back with less flash and glam, so you can have more fun just enjoying the terrain. The town is a real town and that means you are going to have real restaurants and some great cuisine - not just meals served up to satisfy tourists. In fact, the town boasts more than 30 pubs, bars, and restaurants boasting a nightlife that spans casual to classy. Plenty of winter activities outside of just downhill sports. These include dog sledding, spas, snowmobiling and [how many miles] of nordic terrain for cross-country skiers. Breckenridge Ski Resort is a huge property with 187 trails, 34 lifts - including the tallest chair in North America, the Imperial Express Superchair that takes skiers to 12,840 feet. This huge property has a great diversity of terrain including beginner slopes, bowls full of fresh powder, well groomed slopes, and a terrain park for freestyle skiers and snowboarders. While many resorts have gondolas - Breckenridge's goes from right downtown to both of the resort's base areas. Even better is that you can ski all the way back to the town, perfectly creating a ski-in-ski-out town! 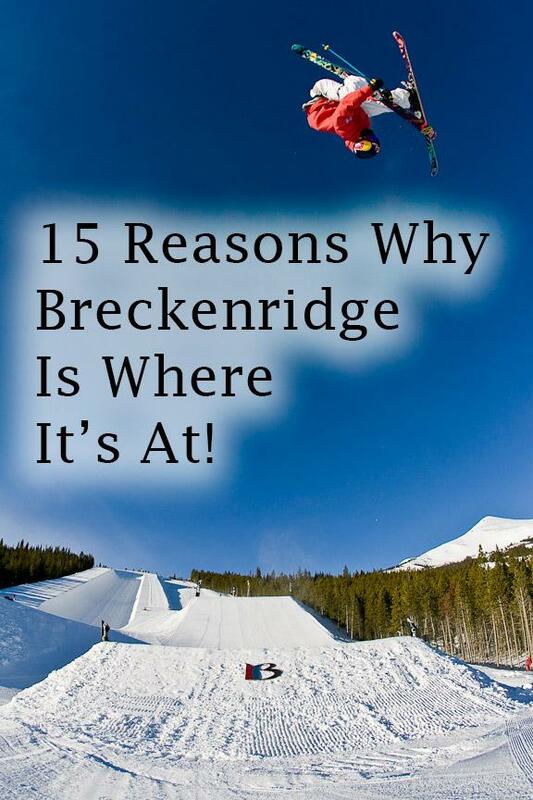 Breckenridge features four terrain parks and a 22' super pipe for the ultimate thrills. It was also the first resort in Colorado to allow snowboarders (1984) and continues to be very friendly to them. The resort opened in 1961, so it's one of the older resorts in the Colorado Rockies, this has given them time to get things right! Only Arapahoe Basin (1946), Aspen Mountain (1946), Beaver Creek (1956), and Aspen Highlands (1958) are older. Breckenridge is only two hours from Denver International Airport and there are airport shuttles that are ski-equipment friendly, or you can also rent a car. After a day of skiing, you can enjoy the excellent cuisine at any one of the resort’s many on-mountain restaurants. Later, you may consider exploring Colorado’s largest historic district in downtown Breckenridge. There, you will be able to choose from a large number of restaurants, bars, shops, museums, art galleries, and more. If visiting during the offseason, the Breckenridge Colorado offers an array of outdoor activities. Examples range from hiking to fly fishing, mountain biking, and zip lining. 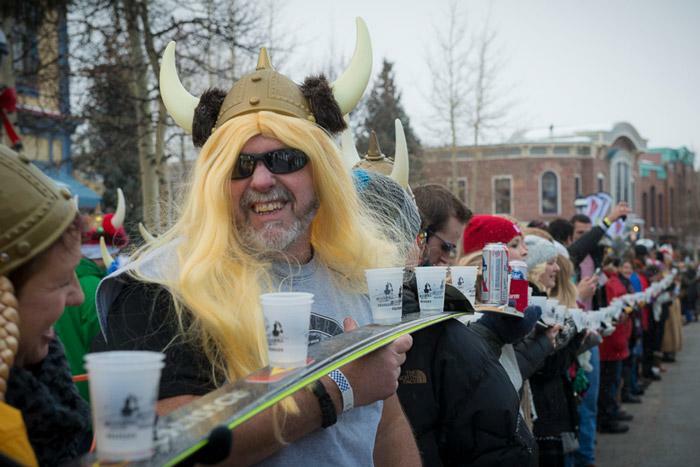 Several popular events are also held in Breckenridge throughout the year. These include beer festivals, the International Ice Sculpting Championships, and the Dew Tour. With such an abundance of outdoor activities and in-town amenities, make sure to keep Breckenridge Colorado in mind when you’re planning your next trip to the Rockies. 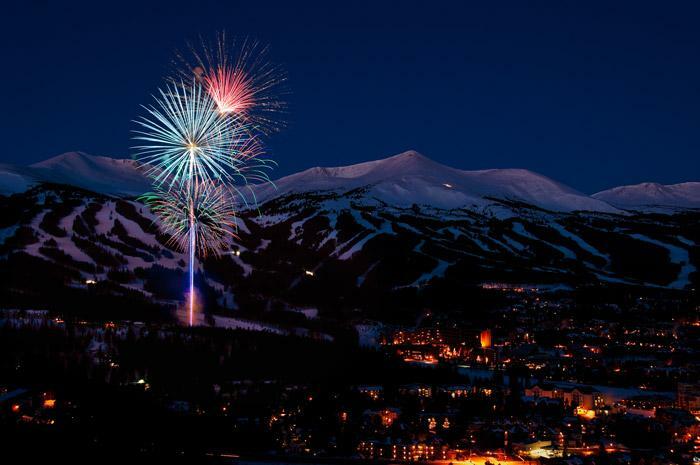 Photos provided by Breckenridge Ski Resort and Tourism Office.